Are you looking for art for the loved one that loves film and art? Or just looking for something unique that will make you a superhero, a princess, a rock star to your family? We are ready for you! 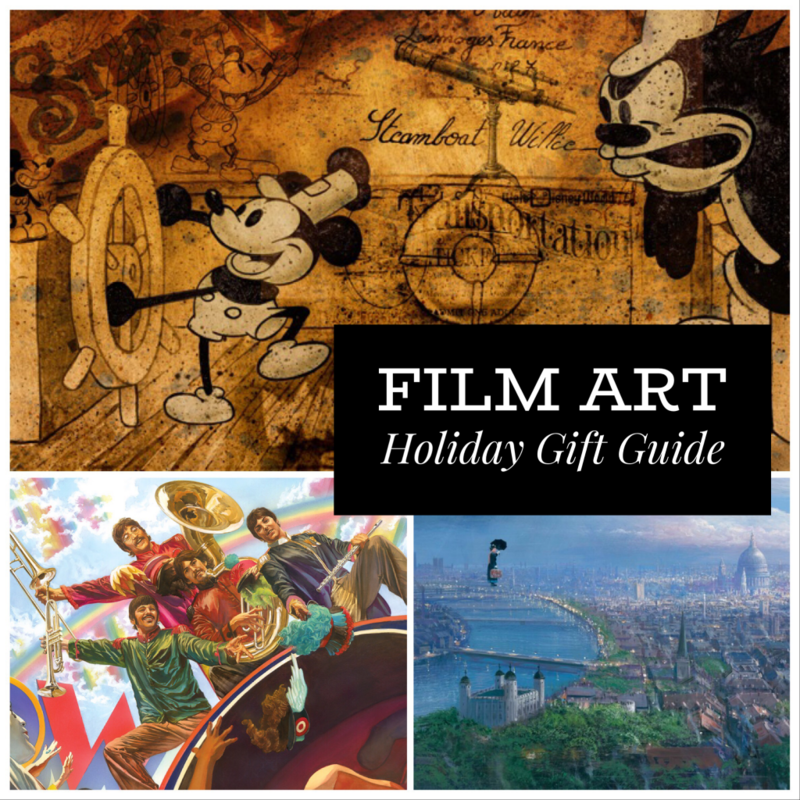 Artinsights certainly has perfectly timed for what’s happening in pop culture this holiday season, all with art that is not only officially licensed, but created by studio artists. Steamboat Willie has its 90th anniversary on November 18th, and Yellow Submarine turns 50 on November 13th. Both Disney and Warner Bros. have highly-anticipated tentpole films releasing in December, with Mary Poppins Returns landing in theaters December 19th, and Aquaman swimming to screens on December 14th. ArtInsights Gallery has art representing all these properties, making holiday gift giving easy for the loved ones of fans who search in vain every year for something special and unusual to make the season bright. Prices range from $150 to a king’s ransom, with several highlighted pieces in the lower range to keep budgets in mind. In fact, click below for the page with a selection of dozens of pieces below $250! 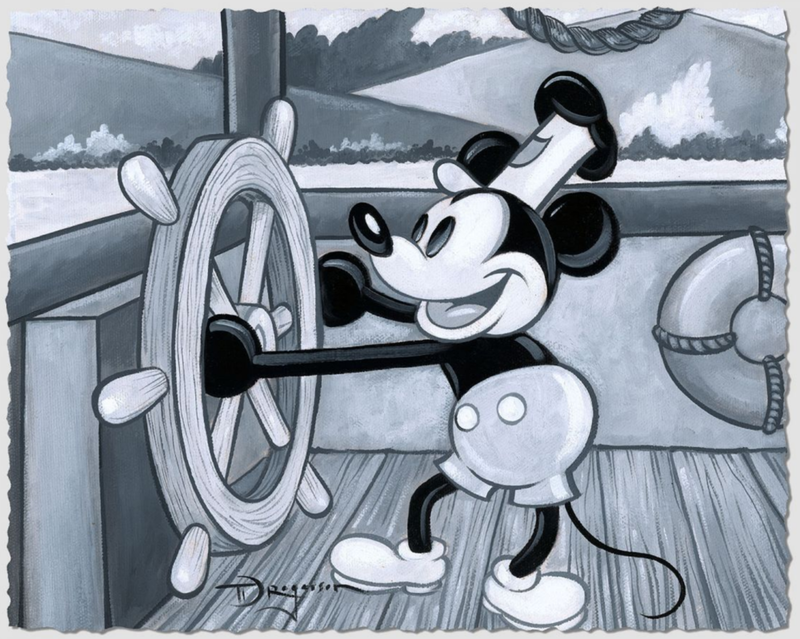 the other a hand-signed giclee on paper capturing the character in a grey-toned piece called “Mickey at the Helm” for $350. Mary Poppins, starring Emily Blunt, directed by Rob Marshall, promises to be a huge hit, especially with fans of the Oscar-winning 1964 classic. 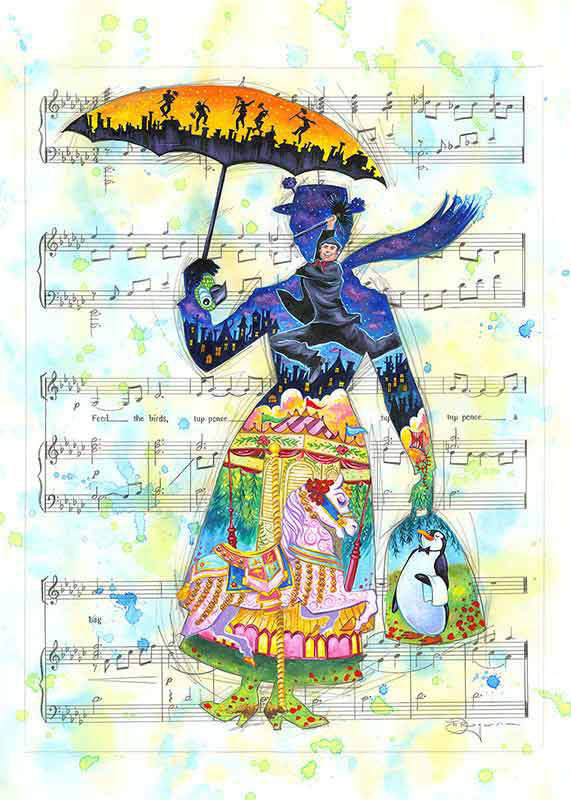 The gallery has a limited edition signed by Tim Rogerson called “A Mary Tune”, that shows Mary and her cohorts painted against the sheet music for Feed the Birds, written by the Sherman Brothers, who won an Oscar and Grammy for Mary Poppins. It is priced at $495. Also offered, for the fans who have everything, is art by matte background painter Peter Ellenshaw, who, indeed won an Oscar for his work on the film. 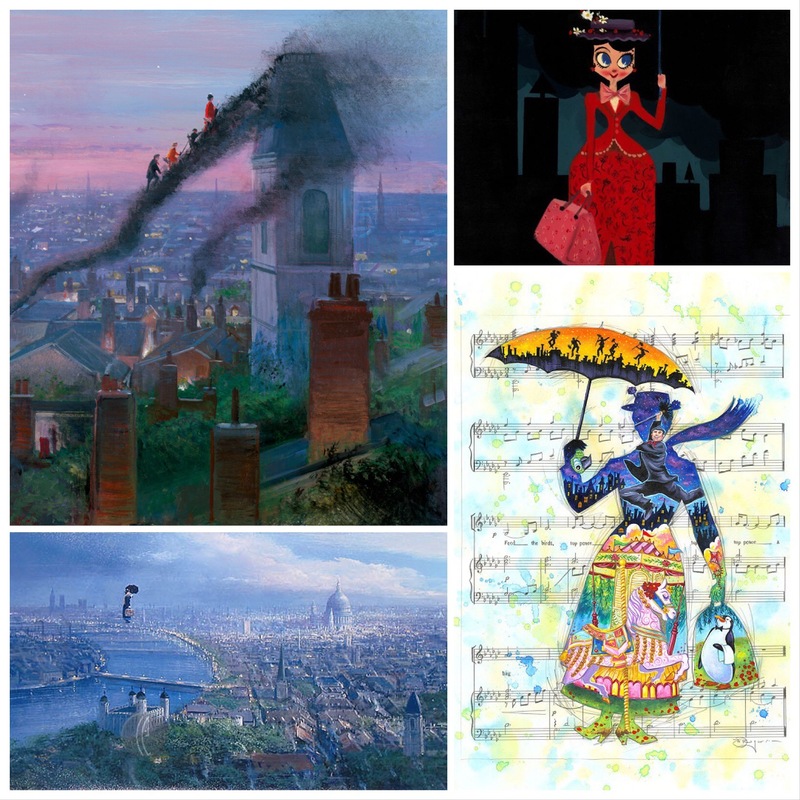 “Practically Perfect”, which is signed by Ellenshaw, who passed away in 2007, is $1100, and would be a highlight of any Disney film fan’s collection. Check out all the Mary Poppins by clicking on the picture! What about the release of the new animated feature on December 14th called Spider-Man: Into the Spider-Verse? Yes, we have art for fans of your friendly neighborhood web spinner. SO many options, so much web swinging to do this season. Click on the picture to see all the Spider-Man images for sale! 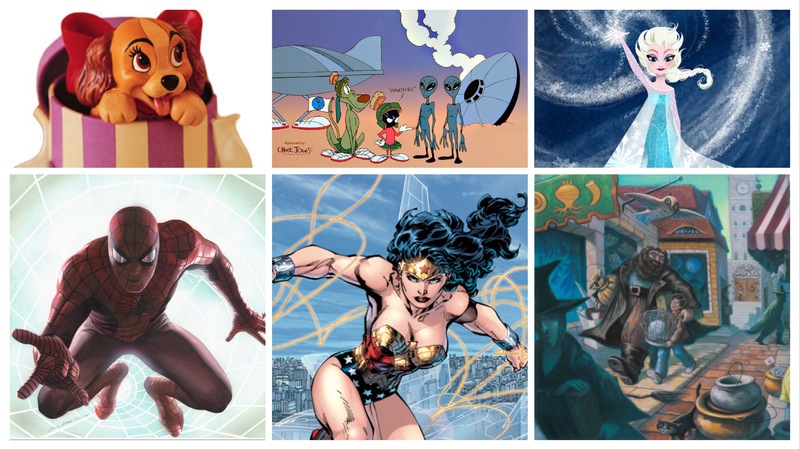 Captain America and Thor, Captain Marvel and Luke Cage, and so much more at your fingertips! Click here! There are a number of other pieces corresponding to film art news, including art from Pinocchio, which was recently announced as a property Guillermo Del Toro will reinterpret with a new stop-motion film. Whether purists stick with the original Harry Potter series or love the newest releases written by Rowling, art from the Harry Potter book and film series is alway popular, and coincides with Fantastic Beasts: The Crimes of Grindelwald. Many are created by Stuart Craig, the production designer for all the Harry Potter movies as well as the new Fantastic Beast series. 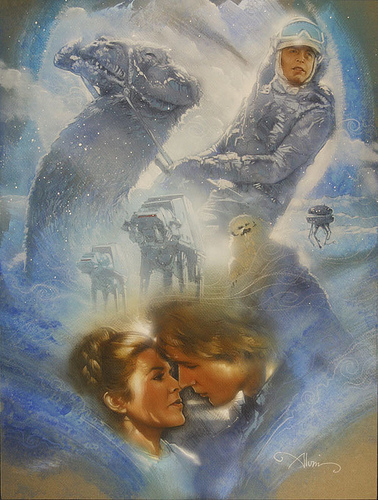 There are a number of images by Star Wars production artists, including the limited edition “The Cold of Hoth” by John Alvin, an exclusive giclee on paper for $150 from everyone’s favorite film in the saga. 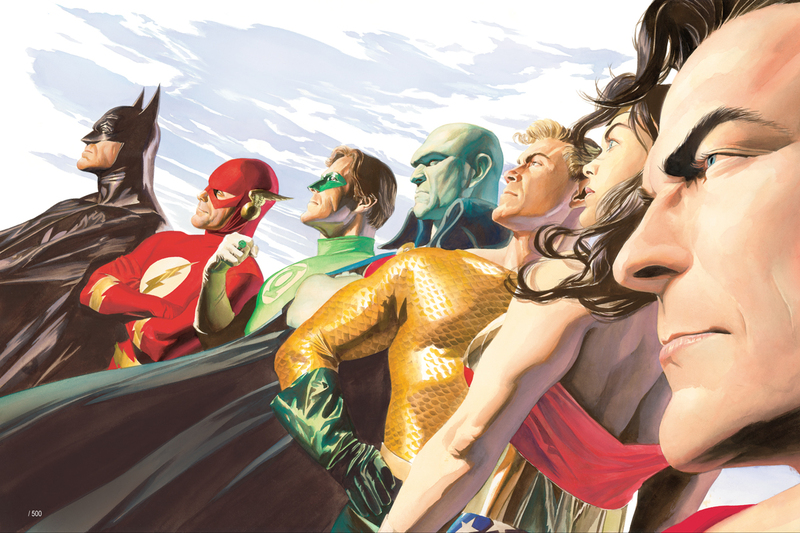 We also have the latest official images of DC and Marvel characters. Of course, there is a veritable parade of Disney princesses represented in art, which is perfectly timed with the release of Ralph Breaks The Internet, in which there is a wonderful, hilarious scene featuring the classic princesses of Disney with their original voices. Looking for something truly special and rare? You know we are the official representative for the art of John Alvin, and we’ve added a lot of new art from his family’s collection. Want some of the only original Batman art created for a Batman film? Concept art for Revenge of the Jedi? Blade Runner or E.T. art by the man who created the posters for those classic films? Maybe art from Beauty and the Beast or Aladdin? Look no further. We also have a number of one-of-a-kind pieces that relate to new releases and anniversaries, like The Grinch, which (STARRING BENEDICT CUMBERBATCH!) releases early November. 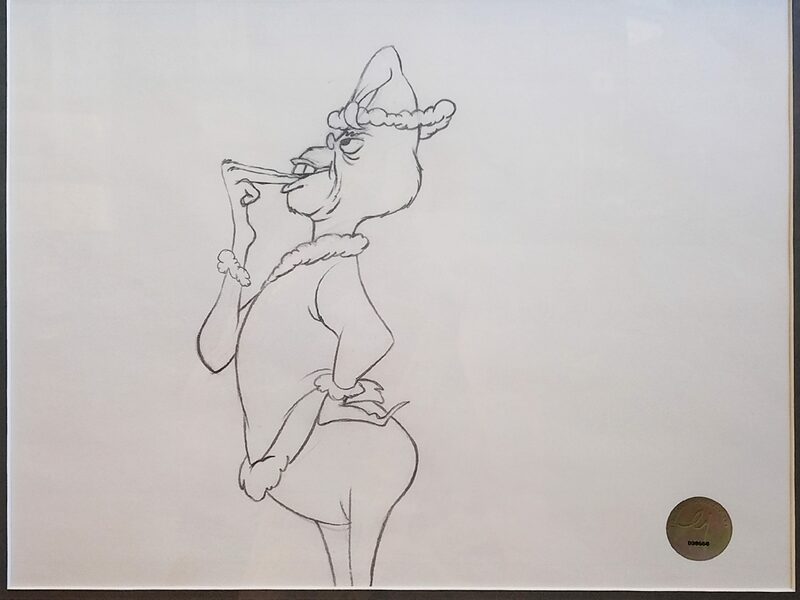 We have an original graphite from the 1966 Chuck Jones cartoon classic. 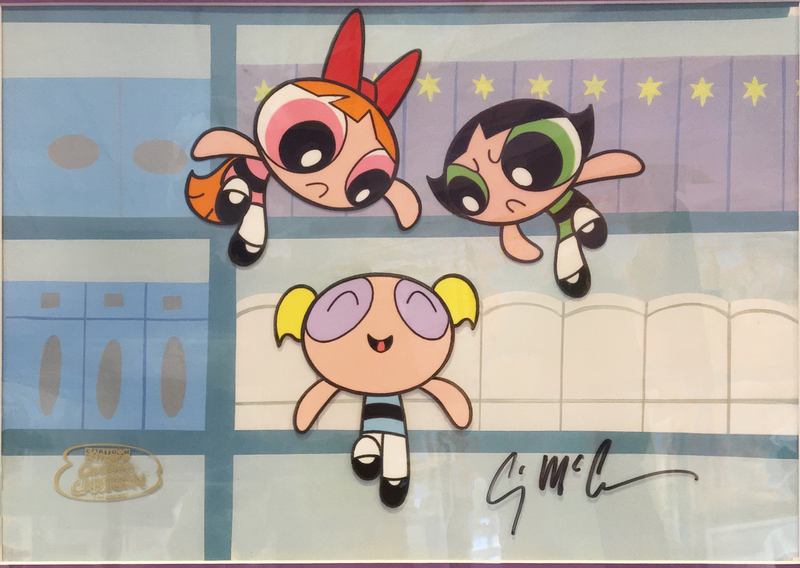 Also, November marks the 20th anniversary of the Powerpuff Girls. We have one amazing, awesome production cel with all three lead characters. Are you a fan of the Fantastic Four? 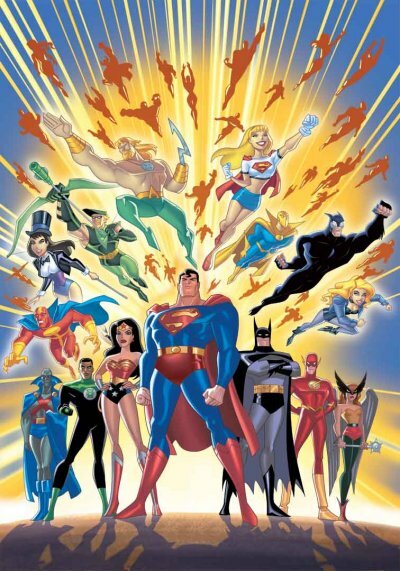 and OH Hey, we have Warner Bros. and Hanna Barbera cartoon art directly from the studio, too! 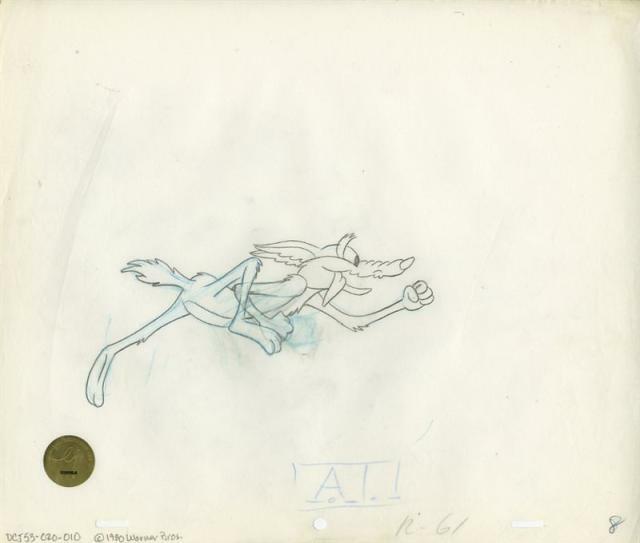 Below is one half of a two-piece set of Wile E and Road Runner. Click below to see all the art from both studios! We have so much more. Contact the gallery for all the special pieces we are getting in for the holidays to make your gift giving fun and easy! Happy Holidays, everyone, from your pals at ArtInsights.